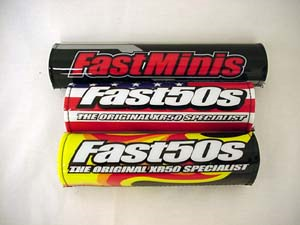 Fast50s | Grom / MSX125 / ZB50 chromoly Grom bars. 4130 Chromoly .095 wall, tig welded. Our bars are the same height as OEM but with a more straight and more agressive sweep, (Approx 4 degrees straighter) which allows for a more comfortable ride. These bars are 1 inch wider than OEM and easily 5-6 times stronger and proudly made in the USA. If you'd like Fast50s can drill these for you to similar specs of your OEM bars. 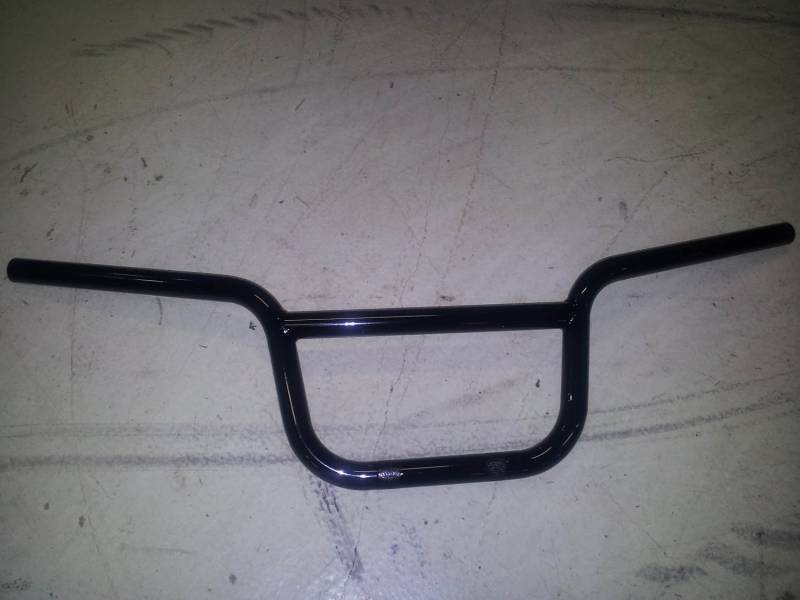 Sweet looking black powder coated finish. Please note: These bars are approx. 1-1.5 inches taller than the OEM Honda zb50 bars and about 4 inches wider and have a killer aggressive sweep compared to the awkward ZB50 OEM bars.